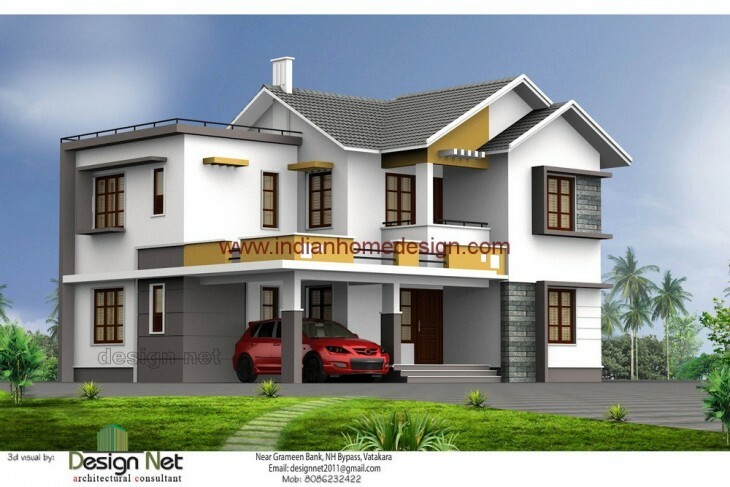 Sweet home 4 bedroom kerala style home from Designnet vadakara Today we are showcasing a Sweet home 4 bedroom kerala style home from Designnet vadakara. Ground Floor Area : 1600sq. ft. First Floor Area : 800 sq. ft. Total Floor Area : 2400 sq. ft. Facilities in this house Ground Floor Details : Sit out , Living room / Tv room , Dining area , Bed room -2 with attached Bath rooms , dress area , Kitchen/ store , Work Area .First Floor Details : upper living area , Bed room - 2 with attached Bath rooms , Balcony. If you like this House design idea theme - "Sweet home 4 bedroom kerala style home from Designnet vadakara" , do take few seconds to share with your friends and relatives . Let them know what you like.